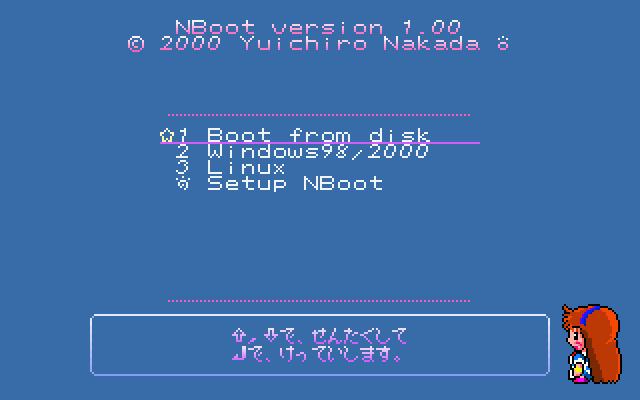 NBoot is a boot manager. This application is designed for Berry Linux. You can select multi OS. Copyright © 2012 Yuichiro Nakada. All rights reserved.